UPDATE: It’s been a year since this post was published- wow! It still remains my most viewed post and while the information is still relevant I thought I’d share a few more helpful blog posts with you. I’ve made multiple pairs since then too that you can check out here and here. If you know me or have read my blog before, you know I’m not fancy. 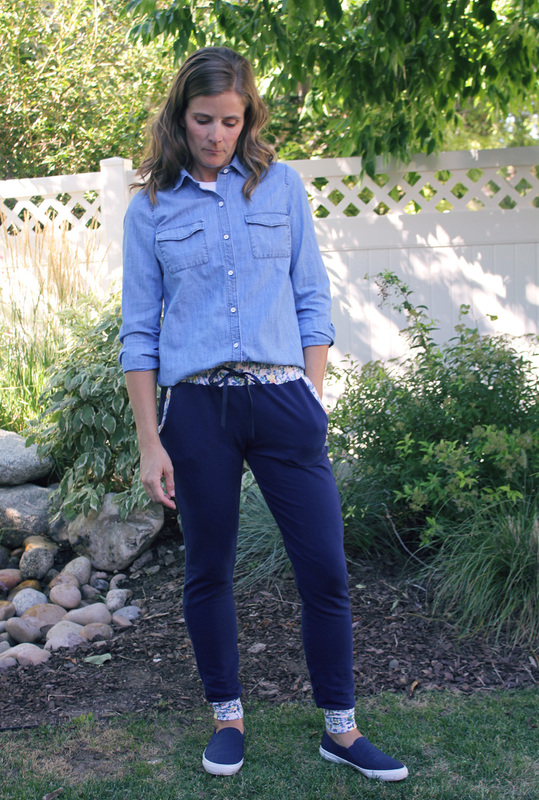 I like simple, comfortable clothes and the jogger trend is right up my alley. Throw them on with a tee for a super casual look or with a button-up to take them up a notch. Totally my kind of pants. 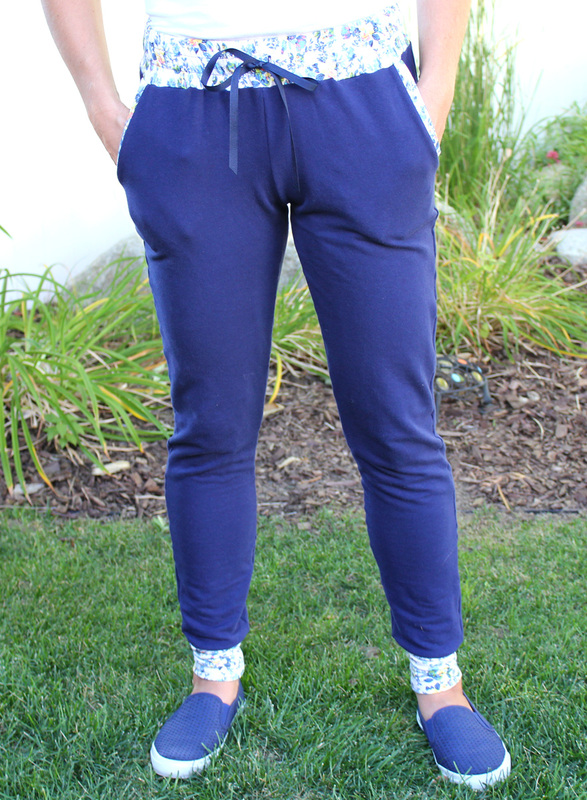 I made my first pair of joggers last year about this time. I used True Bias Hudson Pants and an obsession was born. I’ve since been on the hunt for THE perfect fitting pair. 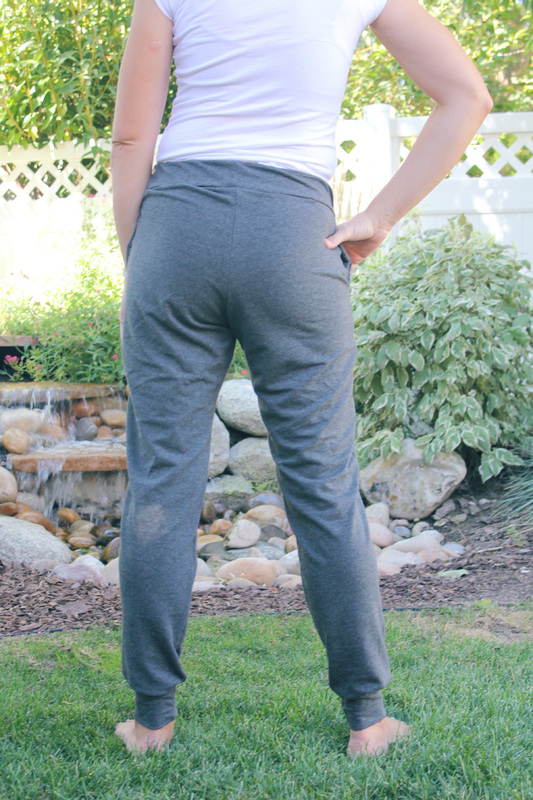 I’ve compared the Hudson pants to the Go To Knit Pants (view B) and Greenstyle Brassie Joggers. Luckily, I know where to get some excellent french terry. Raspberry Creek Fabrics has so many to choose from but I went with simple solid french terry in navy, black, and charcoal grey. I should mention I am 5’7″ and used these patterns all unaltered except the Hudson’s where I added 2 inches to the length per the pattern instructions. These are a sampling- a bermuda length, a longer version with no bands and the calves widened, even a woven pair (following True Bias’s tutorial). Wow, what a different fit! These fit more like leggings through the legs. They are more flattering than my older versions but they aren’t exactly what I’m looking for. A little too tight throughout and the front crotch area is just a little funny. 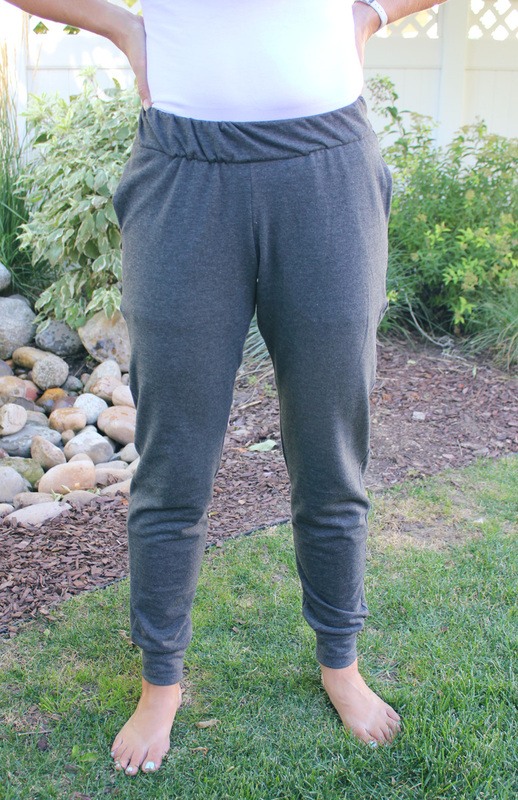 If you are going for a tighter jogger fit then this is the pattern for you. These fit similar to a lot of rtw joggers. I love how quickly these sew up- the instructions are great and I’ve made so many now (I didn’t mention the dozen mini versions my kids own) that I can almost do it in my sleep. The option to use different fabric for contrast is so fun too. Now here is my biggest issue..
My phone is forever falling out of the pockets. Not a deal breaker but I carry my phone 24/7 like almost everyone on the planet and this is totally annoying. With the better, tighter fit, the pocket bags are totally noticeable on the outside so making them bigger will just add to that. I’ve used thinner jersey for the pockets and it helps. I may keep playing with the pockets but until then I’ll show you some ‘real’ pockets! The next pattern I tried was the Go-To Pants Pattern. The best part about this pdf is that it is three patterns in one- a jogger, a yoga pant, and leggings. You can’t beat that, right?! One of the reasons I love pdf’s so much is how accessible the designers are. I had an issue with my pattern tutorial and emailed Andrea, the designer behind Go-to Patterns, and she was so quick to help and to get me the updated tutorial. Customer service doesn’t get much better than that. These are the most comfortable version I tried but in my opinion the least flattering. They are generally baggy all over and the pockets are HUGE! I love this but they are so visible on the outside. I wasn’t a fan of the waistband construction and kinda struggled there. 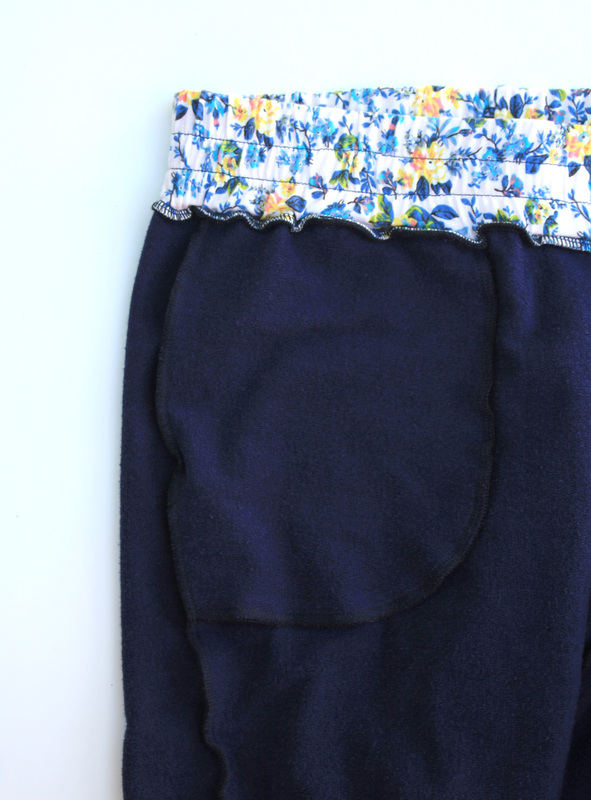 You sew on one long side of the waistband to the pants then stretch and sew the elastic to the other side of the waistband, flip the elastic down and encase it then sew it down. Got that? Seemed a little too complicated and the waistband is a little more bunchy than just doing a casing. If I wasn’t writing up this review, I would have sewn these up differently and I think I would have had a better experience. I think there is great potential in this pattern- maybe using the Brassie pocket technique or simply changing up the waistband. I think this pattern would be the best of the three if you were looking to try a woven version. Edited to add- these are my most worn pair. 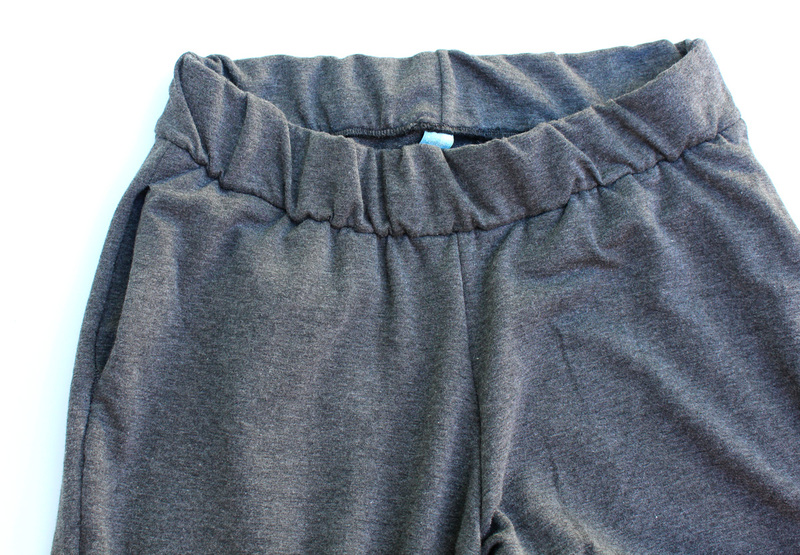 The waistband and loose fit make them my favorite lounging around the house pants. The Brassie’s are baggy without being sloppy looking. The are slimmer up top and more relaxed in the calf. 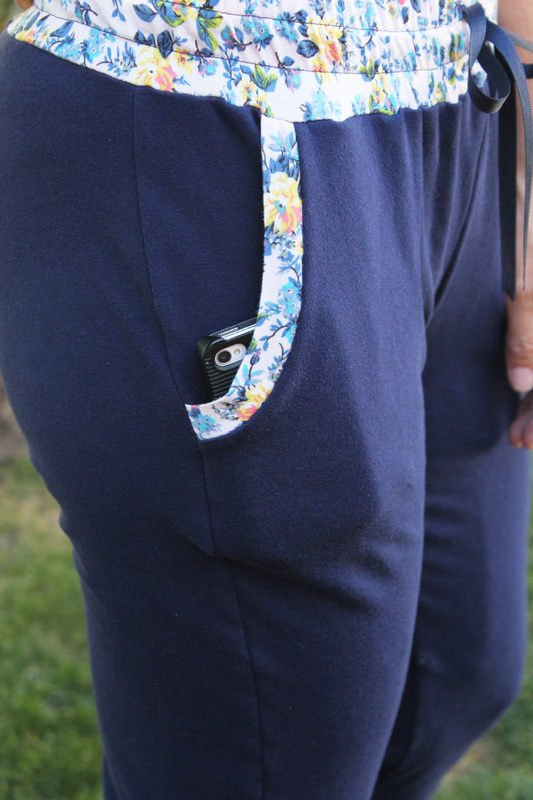 The pockets are genius in construction but still a tad small for a cell phone. 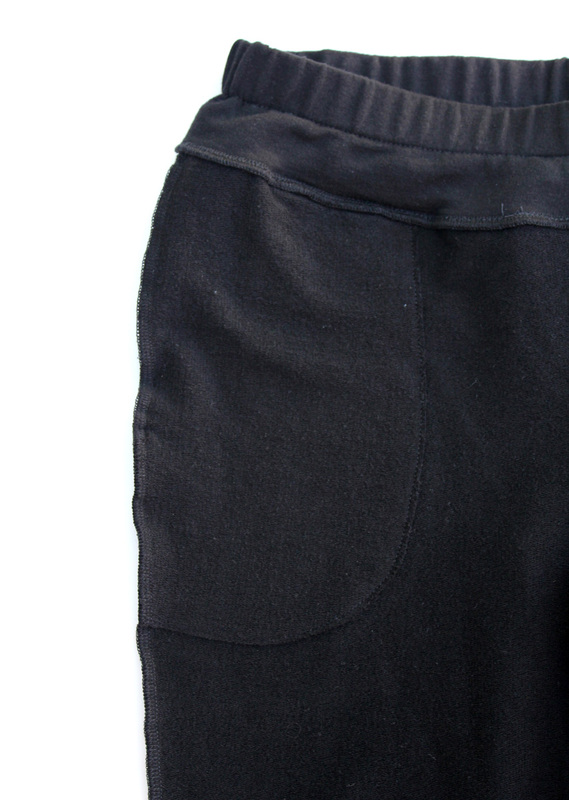 The pocket bag is sewn directly to the pant front, eliminating a layer of fabric and bulk. 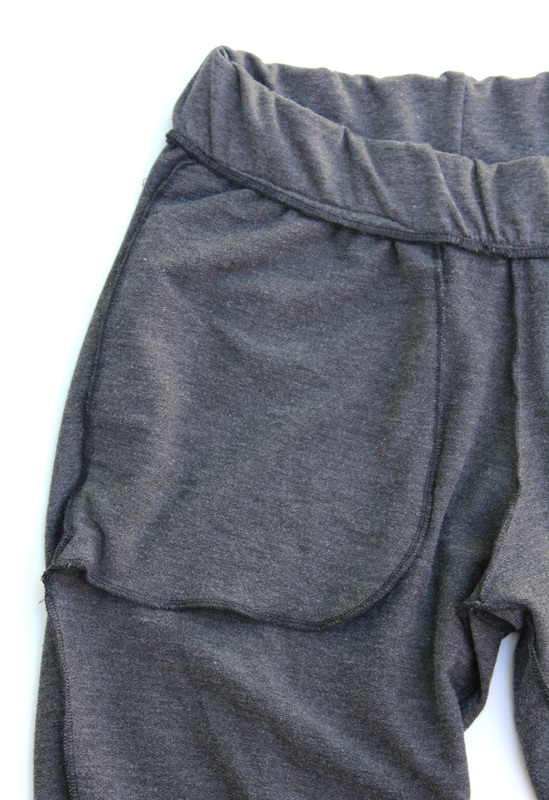 The waistband uses a double casing, elastic in the top and a functional drawstring in the bottom. I love, love the fit of these. The pattern comes with multiple length options, this is the ankle length with band. It is a unisex pattern so the length options are in inches and I can’t wait to make a pair for my husband and oldest boy. There are also different rise options and these are the mid rise option. I like that they cut across my belly and fully cover my backside. I’m already planning my next versions- I think my next pair I’ll tinker with the pocket size and probably do a pocket detail similar to the Hudson’s. So, what do you think? Do you have a favorite jogger I didn’t try? Any tips or tricks to get yours just right? I’m so glad I branched out and tried a couple more patterns. I think I can take a little something from each of them. Thanks Kyema! Brassies are amazing and a good combo of the other two. I’m exactly like you too which is why I have a hundred pdf’s just waiting to sewn up! I love your conclusion and am happy with the Brassies too. Something about the Hudson’s styling made me feel as if I could not pull it off, and for inexplicable reasons, the Brassie didn’t make me feel that way. I learned how to put in grommets, and now I’m off to the races making Brassies for everyone in my family. Thanks! This was my first project with grommets too! What was I so scared of?! You have excellent taste Ophelia so I’m glad the Brassies won you over too! Where did you get that cute drawstring? I love it! They all look great! I love my Brassie Joggers too. I wore my favorite pair yesterday! I like that they are casual but don’t look like baggy sweatpants or tight leggings. I wear athletic gear 75% of the time and these fit in with out being too athletic when I need to dress up OR I can throw on a tank and trainers and head to the weight room. Thanks Angie! 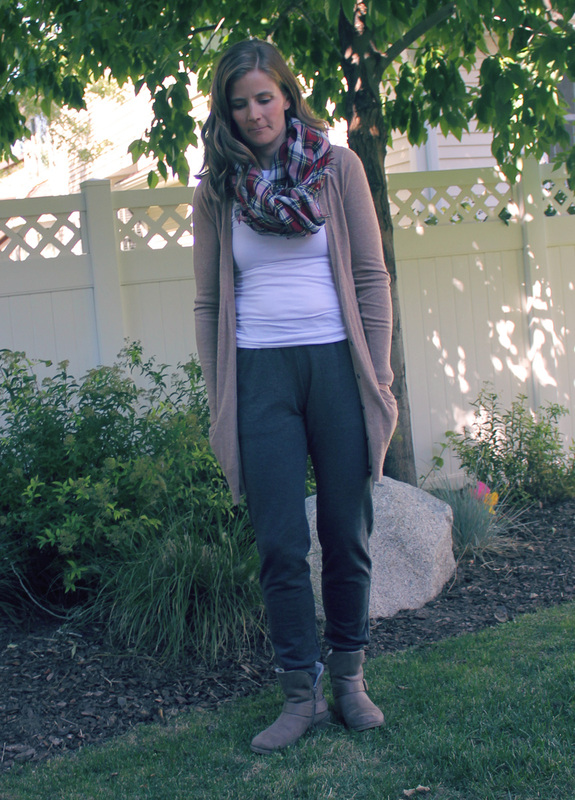 I love that about joggers in general- so versatile for everyday life! Thank you for the comparison! 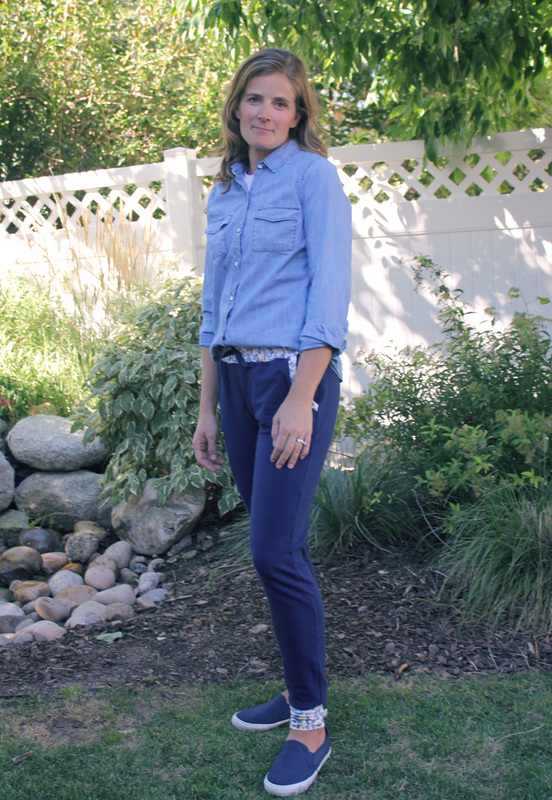 I recently sewed the Brassie Joggers & love, love, love them. Next on my list is the Knit Pants from GTP. Your reviews is very through! I definitely don’t feel the need to buy the Hudson Pants now. Your 11 year old did excellent. Awesome reviews, thanks for sharing. I have the Go To knit pants and just purchased the Brassies…I was trying to decide which to try and your thoughts were very helpful. Rock on in your joggers! Ps. I love the floral raglan with the black Brassies! Thanks so much Ajaire! I think the Brassies would look great on you! Hi! Love this post. I actually was planning on making the hudson pants. I have the pattern already taped out. Now I am second guessing because if they look like how they look on you, on me, I will be unhappy. I am looking for the fir of the Brassies. Poo. Before I go ahead and buy that pattern (sigh), I have a bit of a sizing issue. This is an issue for both the brassies and hudson. My waist is 26 inches and my hips are 38 which puts me all over the place sizing wise. I would love your advice on which size to make. I have three fabrics ready to make into pants! Hi Brittany! I think you would be ok to try the Hudson’s. I would either go with your hip measurement size all over to get a looser fit (it’s easy to take it in if needed) or grade in for your waist and leave the legs looser. As you can see it took a lot for me to find the perfect fit for my body but it’s a super quick and easy pattern and with a little altering I think it works for a lot of body types. I wish I could say just go with the Brassies but since you already have the Hudson’s I’d say give them a try. I have almost the opposite sizing problem where my waist puts me a few sizes above my hips so I’m probably no help at all! Good Luck! So, I’ve never used ribbing as the cuffs. I know it’s totally what you’re supposed to do but I usually just use the french terry (if it has enough stretch and recovery) or CL. 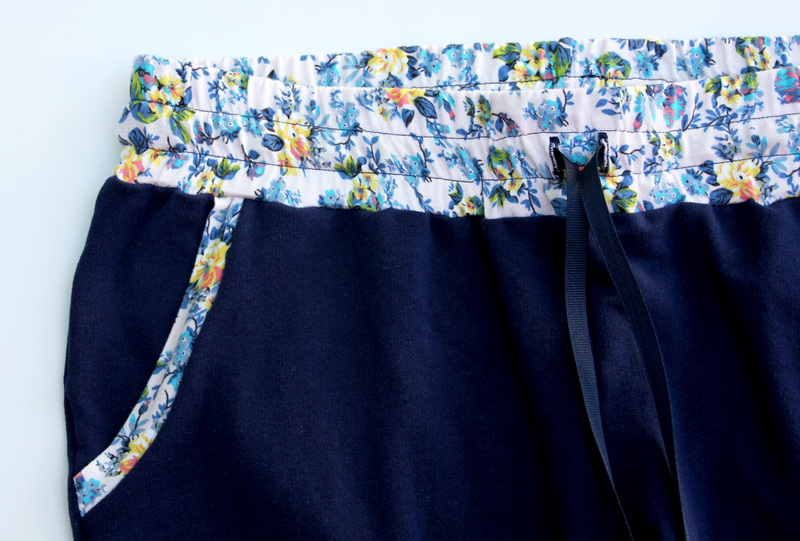 Sending good vibes to your serger! Almost like loosing a part of you, right?! !